In music creation mode. Love this moment. What on earth are you singing? Looking good here Adam. I just love this photo!... "The Artist at Work". Complete concentration. Get ready everyone ... here comes another Music Masterpiece by the Maestro Extraordinaire!! Can't wait!! GENIUS!! 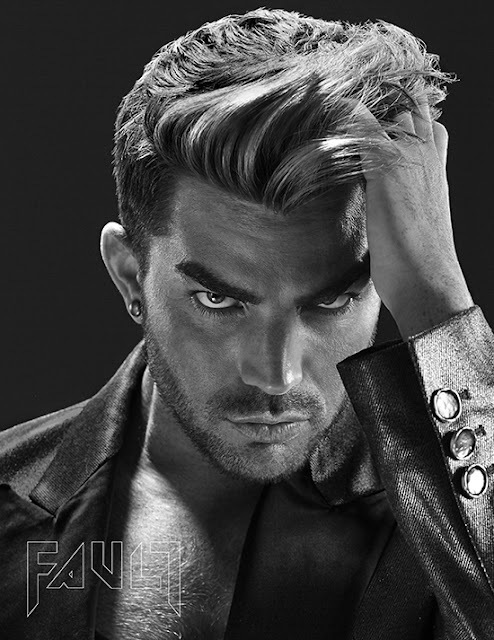 Lambert Outlaw....I'm betting that QAL will introduce one of Adam's new songs in Vegas....Wouldn't that be great? Adam has said that his exposure to Queen has "flavored" his new music. I thought Adam's "Lucy" fit in especially well on their last tour.